In a large pot combine the lentils, onions and beef stock. Add salt and start cooking over medium heat until the lentils and onions melt, approximately about 35-40 minutes. Pass the soup through a sieve or use a hand blender to make a smooth soup. To prepare the roux, in a small pan melt the butter and add flour and cook for about 10 minutes until the flour smell is gone. Add this roux to the soup and mix well. In a separate pan melt the butter and add the red pepper flakes and take off the heat immediately as to not burn the peppers. 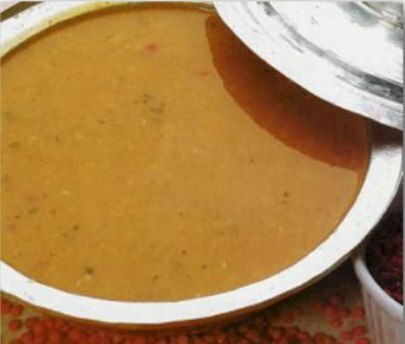 Serve this butter sauce over the lentil soup along with lemon wedges. Heat the beef stock in a large pot. In a bowl mix the yoghurt, flour, and egg. Add a ladle full of the heated beef stock, and then pour this into the big pot while stirring. Add the rice and cook over low heat for about 15-20 minutes, stirring occasionally. Take off the heat and add the salt. In a separate pan melt the butter and add the mint and take off the heat immediately as to not burn the mint. 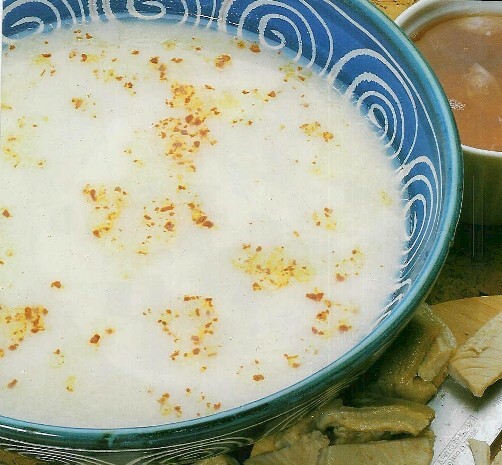 Portion the soup into cups and serve this butter sauce over the soup. Melt the butter in the soup pot, start sautéing onions and garlic, until softened. Then add the tomato paste and continue sautéing for about 5-6 minutes. Add the lentils, bulgur or rice, red pepper flakes, mint, and salt along with the boiled water. Over medium heat cook until the bulgur or rice is completely melted, approximately 30 minutes. 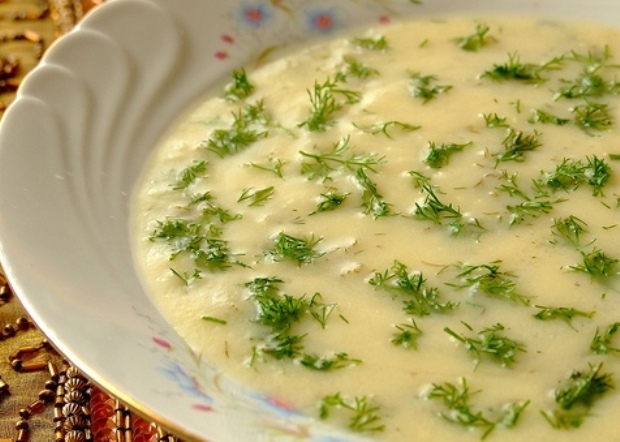 Serve the soup with lemon wedges. In a soup pot, sauté the onions in olive oil until the onions have softened, then add the broad beans and water. In a bowl whisk the yoghurt with flour and egg. Add a ladle full of the hot water and mix well. Then pour this mixture back into the soup pot, and cook until the beans have softened, approximately for about 10 minutes. Right before taking off the heat add the dill and serve. Wash the tripe very well in cold water. In a large soup pot, combine with 10 cups of water, and cook for about 2-4 hours until the tripe is completely softened. During the cooking process make sure to skim the scum that forms on top. Once the tripe is cooked, take off the pot and cut into medium dice pieces. Strain the cooking liquid and set aside. In the same pot, melt the butter and cook the flour until it turns pink. Add the hot tripe stock while stirring along with the cut tripe, turn the heat up until the soup boils, then lower the heat. In a bowl whisk the eggs and lemon juice, add into the soup pot very slowly while stirring. In a separate bowl mix the vinegar, garlic and salt to prepare the sauce. 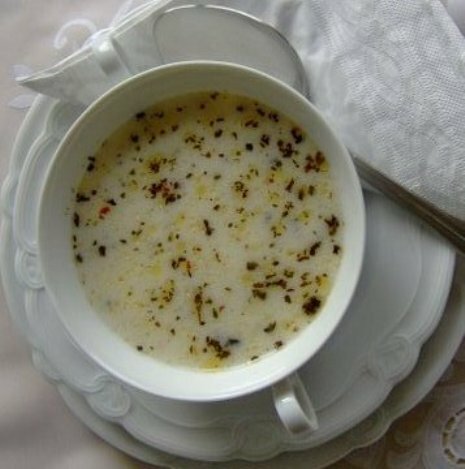 Serve the soup with the vinegar sauce and red pepper flakes on the side.